20 Breathtaking Resorts Near Mumbai For Couples: Plan A Romantic Escape In 2019! 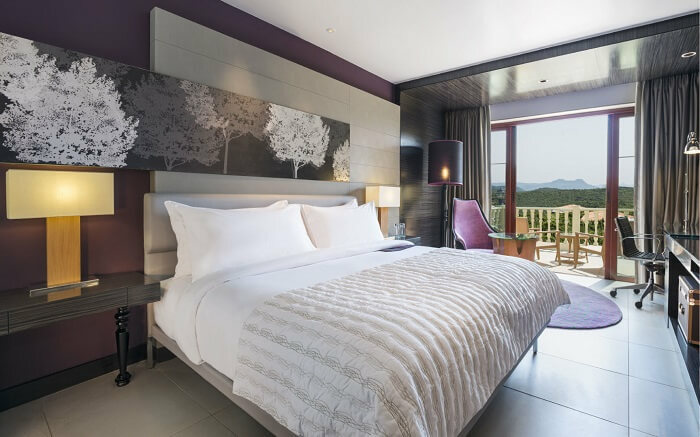 The fast-moving life of Mumbai can be quite taxing on your body and mind, but Mumbaikars are lucky enough to have some incredible resorts near Mumbai for couples that let lovers have a great time together. 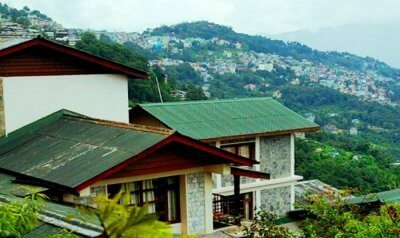 They boast of great locations with awesome weather, mesmerizing landscapes – mountains and waterfalls, well-equipped rooms, lip-smacking food, and impeccable service. There’s views, service, and privacy – precisely everything couples look for in a quick romantic escape. 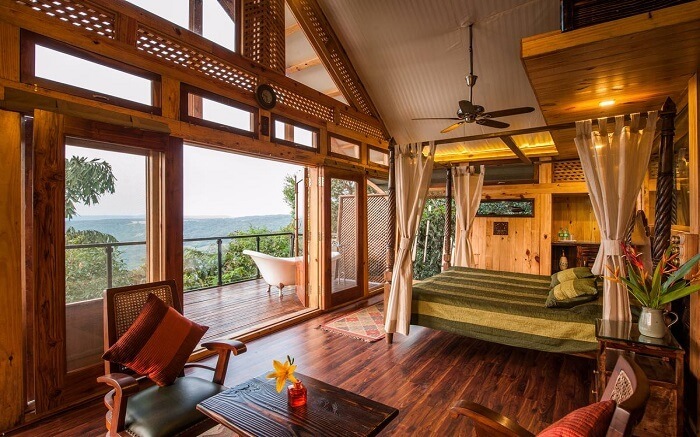 From the ultra modern Della Resorts to the enchanting and rustic Machan Resort, we have narrowed down on some of the most romantic resorts near Mumbai that’ll let you have unique experiences in the wilderness. Below are few of the many luxury resorts near Mumbai within the radius of 100 km from the capitals. These resorts near Mumbai for couples for one day are perfect retreat for a quick getaway. To break the monotony of mundane urban life, nothing beats spending a day amidst a serene and beautiful rural landscape. 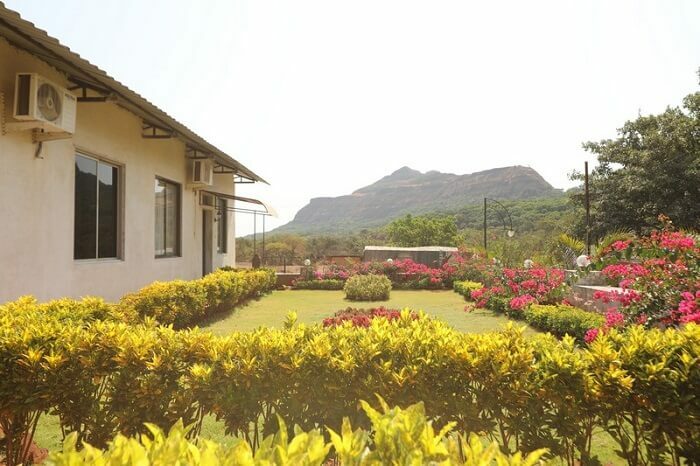 Spread over acres of green land, Hidden Village Resort is one of the most beautiful resorts near Navi Mumbai for couples. With a gorgeous rural theme, this one of its kind resort features thatched hut accommodations, red brick walls, and natural hot water springs. Couples can swim together at the rock pond of the perennial stream within the resort. 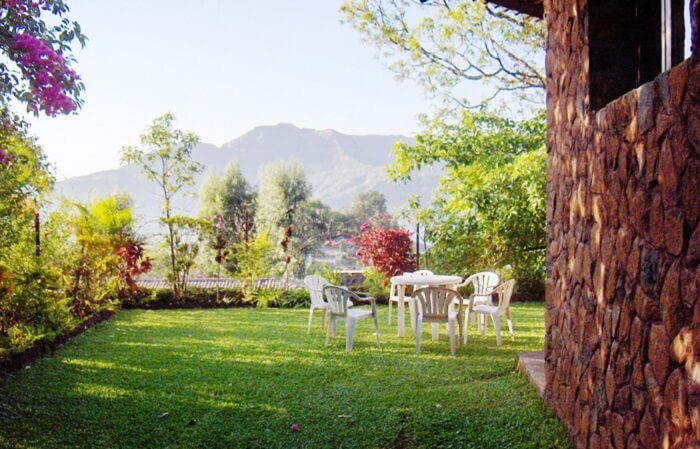 It is one of the cheap resorts near Mumbai for couples if you are looking for overnight stay. Located in Jambulne, one of the major 25 biological hotspots of the world, The Machan is one of the most popular resorts near Mumbai for couples, offering tree house accommodations. This is an eco-friendly resort which runs entirely on solar and wind energy. There is an in-house spa to revitalize the exhausted mind and body, and the jaw-dropping view of the surrounding from every room leaves every couple awestruck. It is also a perfect option among the resorts neMumbaibai for one day picnic. 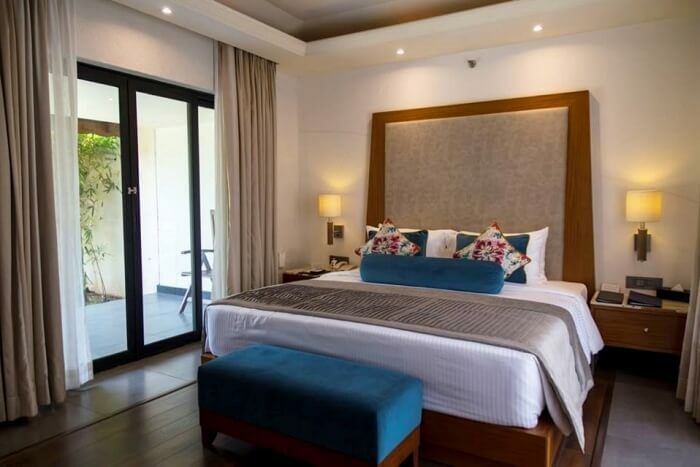 Loaded with panache and elegance, this is a chic and luxurious 5-star resort in Kuneagaon. 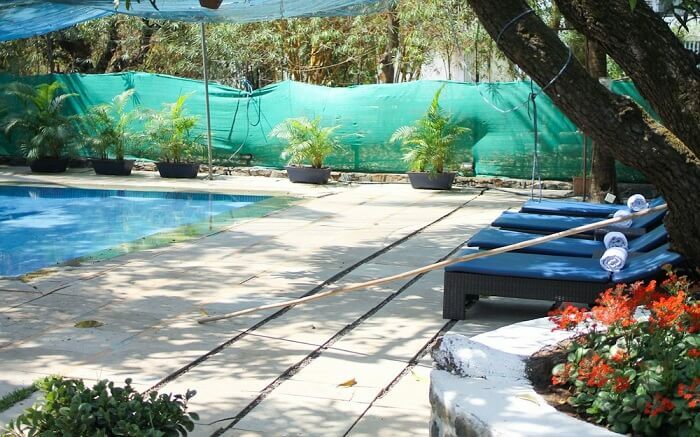 Della is surely one of the most happening resorts for Mumbai couples, with its 24-Hour Hub comprising of spa, salon, swimming pool, fine dining kitchen, and pubs. Della Resort is one of the most popular venue for a destination wedding. With huge sprawling lawns and well-equipped banquets, this is one of the best wedding resorts near Mumbai. If you are looking for resorts in Mumbai for unmarried couples then it is your best bet. 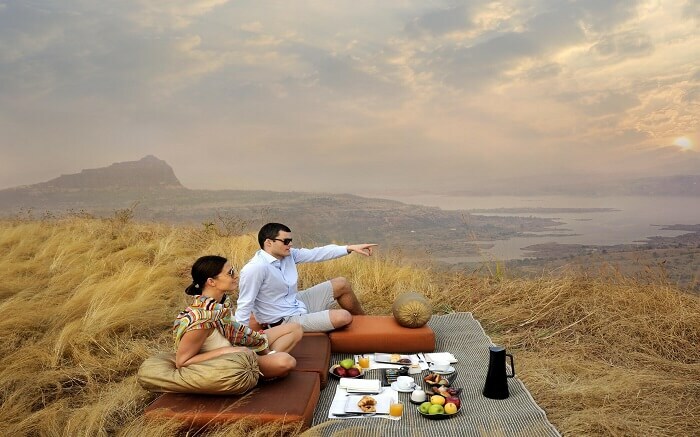 Upper Deck at Lonavala is the most sought after resort preferred by couples for a peaceful weekend retreat. Perched on Tungarli, Lonavala’s highest point, this resort offers absolute tranquility and breathtaking views of the beautiful Valvan Dam. The world-class amenities and outstanding hospitality have placed it amongst the most romantic resorts near Mumbai for couples. You can also visit nearby attractions like Karla Caves, Pawna Dam, and Lohagad fort with your love. Suggested Read: Holi In Mumbai 2019: Know How Mumbaikars Reveal Their Happy Colours! Among the best honeymoon resorts near Mumbai, this reinvigorating holiday destination offers best-in-class services to all its guests. Accessed by ferry from Gateway of India, the resort promises a comfortable getaway. It’s very close to Saswane Beach, where both of you can go on long romantic walks. Overlooking the sun-kissed Kihim Beach, U Tropicana Beach Resort in Alibug is a paradise for those looking for a chilled-out holiday. 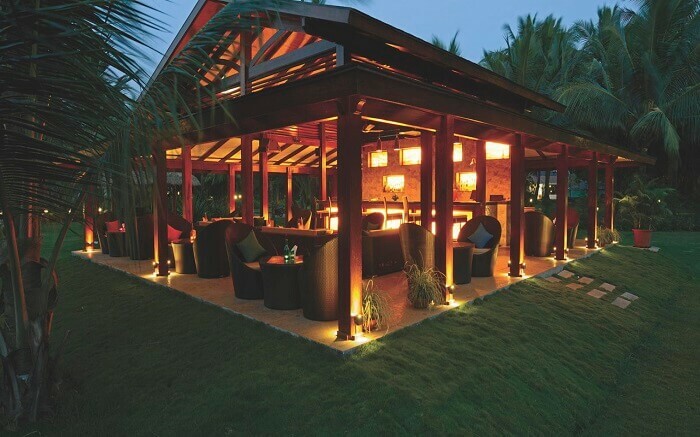 This is one of the most awesome weekend resorts near Mumbai, known for an array of world class dining options. From all day dining at Eat Restaurant, Bucket Barbeque to a romantic dinner at Chef Table, U Tropicana has something for every couple. Don’t miss the wine tasting and cocktail making sessions at Captain Cook’s Bar. Must Read: Nightlife In Mumbai: All Kind Of Coolest Experiences That Will Make You Fall In Love With The City! What once used to be a mansion in the 19th century is now a cultural heritage. 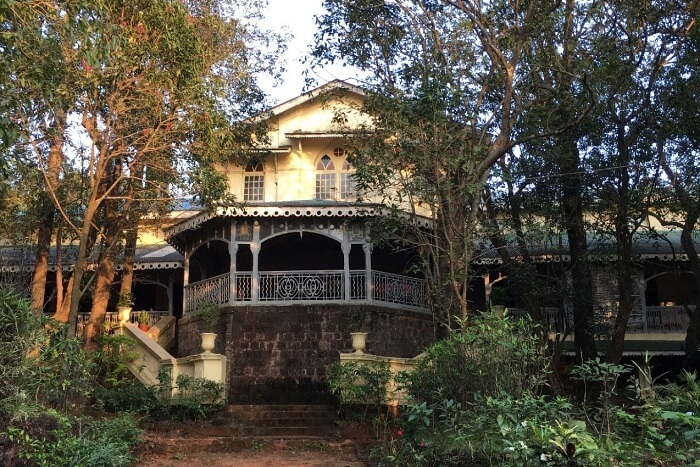 Situated in Matheran, this Verandah In The Forest is the place to go to after a week full of stress in the city. The Matheran Hills are easily visible from the resort, giving a 360-degree view of the place. With only 11 rooms, privacy and crowd are not an issue in the resort. Also, due to the small number of rooms, it also has a waitlist, so make sure you book early on. Only 53 km from Mumbai, the resort is the place to be when you want to enjoy little country life. 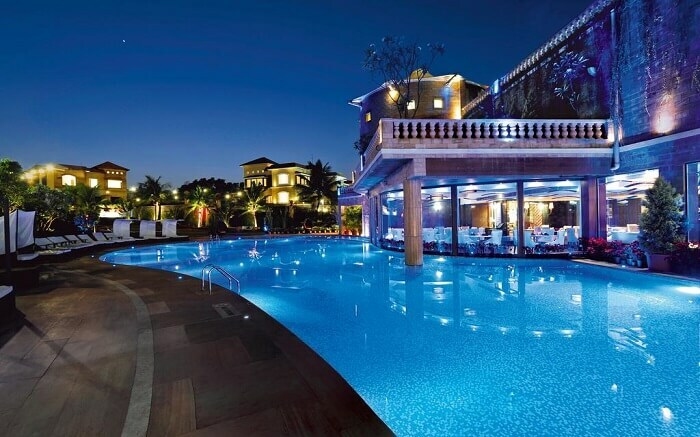 With a whopping 16-acre complex, Radisson Alibaug is a five-star resort in Alibaug. 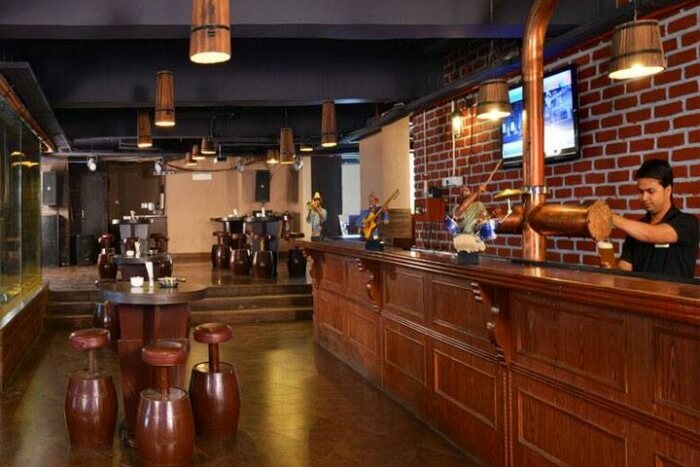 Only 92 km from Mumbai, it houses a lounge bar, disco, and a few restaurants. They even have a piano bar! If you have a taste for real luxury, book the Presidential Suite of the resort. While here, you can visit nearby attraction like Kankeshwara Temple, Janjira Fort & Beach, Kolaba Fort, Fish Bunder, and Harnai Fort. 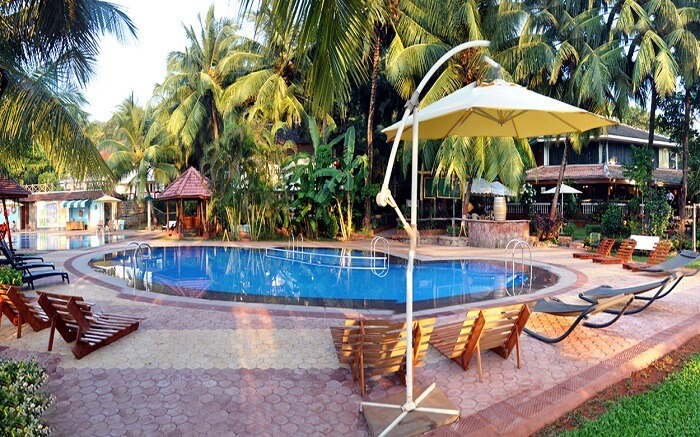 Another 5-star hotel in the list, Fariyas Resort is one of the most happening resorts near Mumbai. Only 84 km from the capital of Maharashtra, it is perfect for a weekend getaway. There is a tavern and lavish cafe within the complex. With modern designs and impeccable aesthetics, you will be left in awe of the resort. Here is a list of resorts you can stay at when out on a longer vacation from Mumbai. 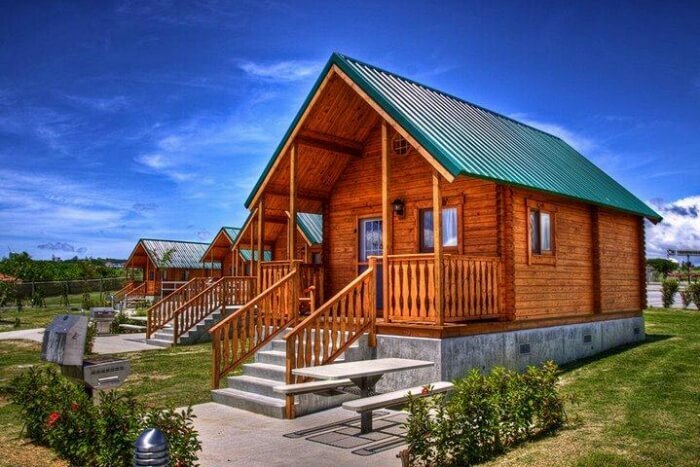 You can find a number of budget resorts and luxury resorts within 300 km of the city. Encircled by lush green Western Ghats, this is one of the most sought after resorts near Mumbai for couples, which offers appropriate ambience to be with your loved one and spend some intimate moments together. 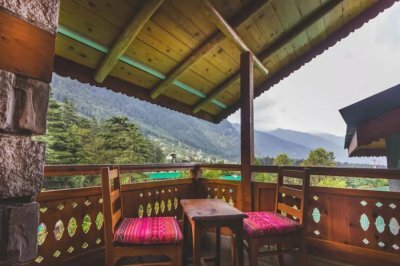 Rooms with outdoor shower, refreshing Shilim spa, private pool, cooking lessons, and mountain bar are some of the exciting features of this resort. Considered as one of the best beach resorts near Mumbai for couples, Prakruti Resort is a land of charm and magic amidst nature. Located in the coastal village of Kashid, this resort offers amazing view of the sea and wide range of recreational activities such as mini golf course and tennis court. Couples can walk to Kashid Beach for romantic walks and sunset views. Featuring tastefully designed rooms with private balconies, well-appointed fitness centre, and a sprawling sun deck, Bella Vista Resort is a great option for couples. The décor and theme of the resort reflect perfect blend of tradition and modernity. 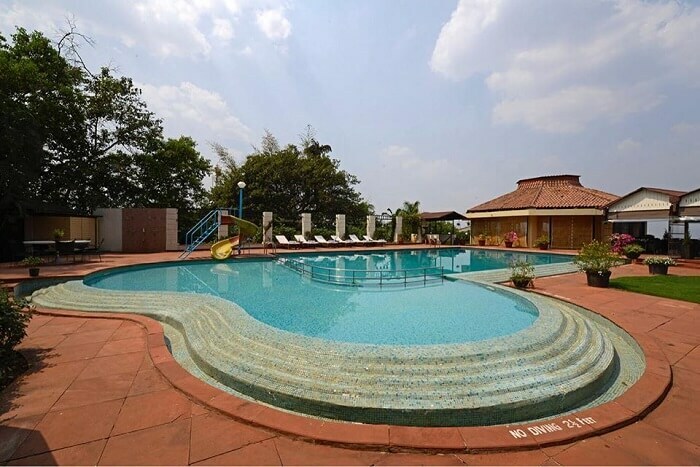 Set amidst lush green landscape, Bella vista is one of the popular resorts with swimming pool near Mumbai and offers a relaxing getaway to romantic duos. Listed among the most romantic resorts near Mumbai, Le Meridian Resort and Spa is a lavish place to stay. This is a popular choice amongst couples for a fun-filled weekend nirvana. There is a spa to reinvigorate and wide range of in-house dining options like Plunge Bar and Latest Recipe to satiate your taste buds. A 4-star resort nestled in the middle of nature, Anandvan Resort offers perfect retreat for the couples. Perched on the height of 2,800 ft, the resort offers cosy villas and cottages overlooking Lake Arthur Hill. Enjoy the mesmerizing views of the nature and boundless peace and serenity around. If you are looking for a luxury resort near Mumbai, Amanzi is the place to be. 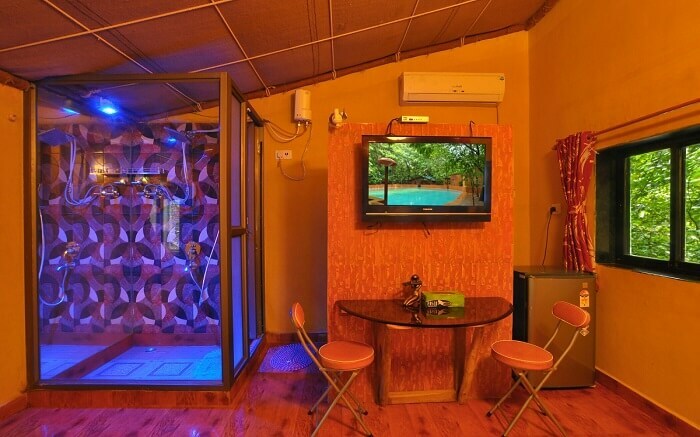 Many travelers still swear by it and are known to consider it the best place to stay at in Lonavala. Overlooking Pavana Lake, the picturesque setting will blow your mind. On top of that, the wooden interiors and modern design add to the aura of lavishness. The food, too, is all that you expect from a luxury resort. 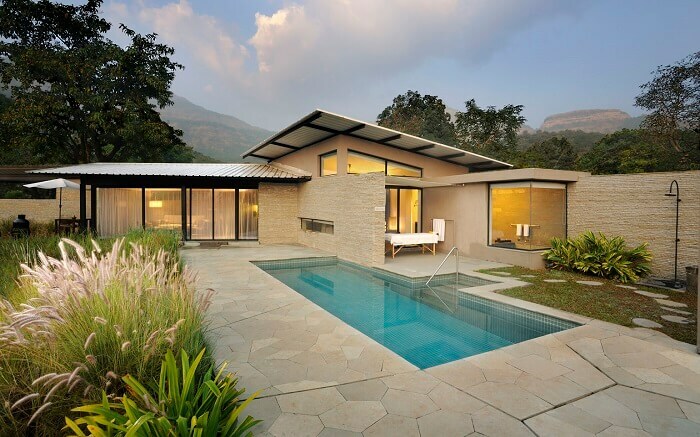 Only 121.8 km from Mumbai, it is perfect for a luxurious weekend getaway. Enough about other places. How about Pune? When it comes to 5 star resorts in Pune, The Corinthians Resort falls in the top 5. 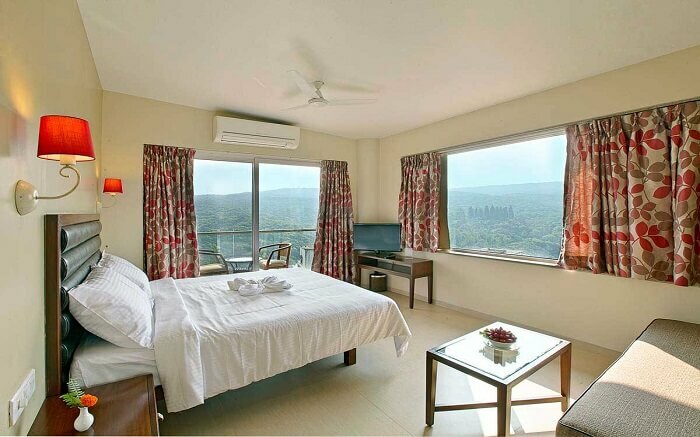 Offering splendid views of South Pune, it offers craft beer and spa services to the guests. They have their own brewery as well, of which you can take a tour. 165 km from Mumbai, hit the roads to a royalty treatment in Pune. 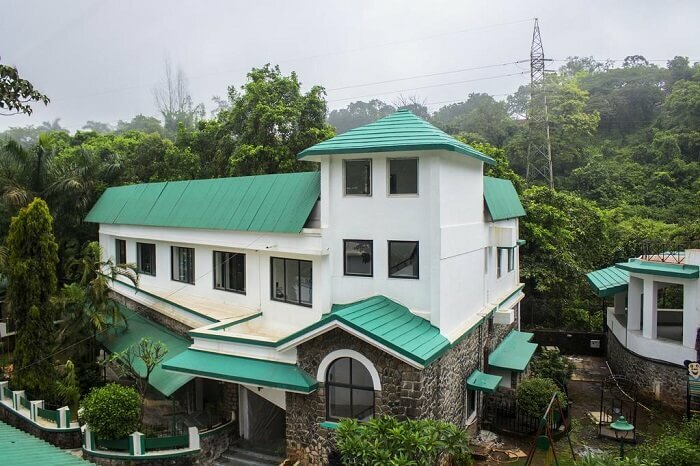 If you are looking for resorts near Mumbai for overnight stay, Cloud 9 Hills Resort is a perfect place to crash. 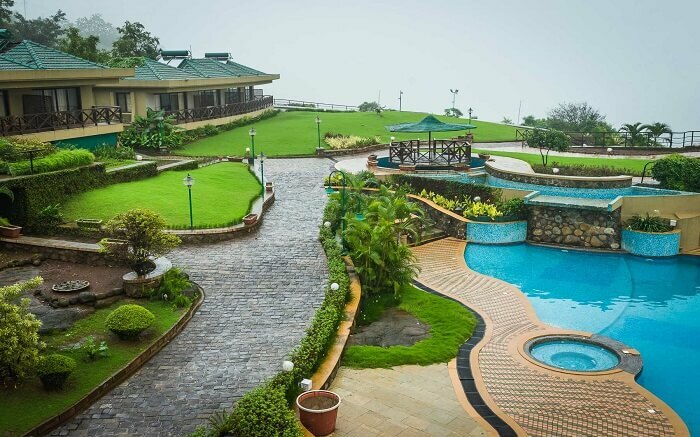 Just 97 km from Mumbai, you can reach this resort on Lonavala in just 2-hour drive. The place aptly lives upto its name. Located at a height of 1,500 ft, you can almost touch the clouds from your balcony hovering over you. The whole settings of the resort are charming and romantic. The Dukes Retreat is one of the best luxury resorts near mumbai for couples looking for a comfort stay and amazing experience. The place is private, comfortable, and opulent at the same time. With room full of modern amenities, you can enjoy splendid views from the balcony. There are even hot tub and pool for your to laze around. It is one of the best retreats amidst nature one can wish for. Average Tariff: INR 7,000 per night approx. Enjoy a lovely stay at Velvet Country Resorts & Spa nestled amidst the mountains and verdant greenery in the surroundings. 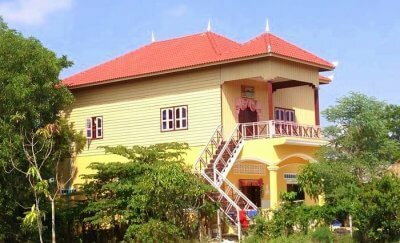 The resort offers you privacy and modern amenitie to make your stay comfortable and wonderful. You can even anjoy a spectacular sunset view from your balcony. It is one of the best places if you want to get away from the pollution and hustle-bustle of the city. 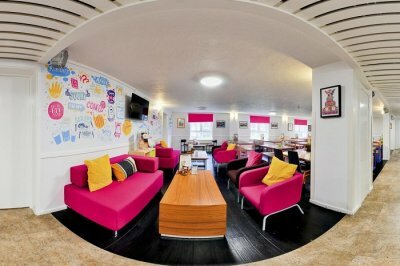 Are you bored of your mundane routine and looking for a place where you can spend some quality time with your spouse? Then, head to C Cube Resorts to have an ultimate getaway. 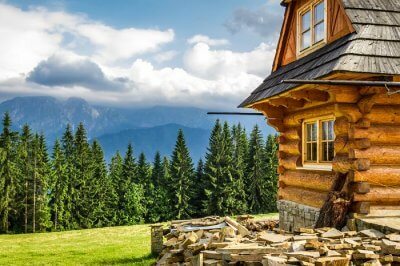 The resort is surrounded with undulating greenery and rustic woods which will calm your sould and mind. The whole atmosphere provides love-dovey and romantic vibe. The rooms are equipped with all kinds of amenities and comfort. Have you finalized your romantic resort near Mumbai? If you have not, then we suggest you to not wait too long. 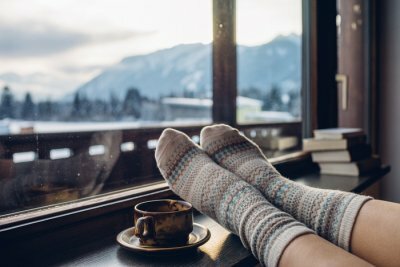 Also, remember that to plan the perfect weekend getaway, you will have to start planning much earlier than the actual time of the trip. To avoid any last minute hassles and get attractive discounts, get a customized itinerary beforehand. 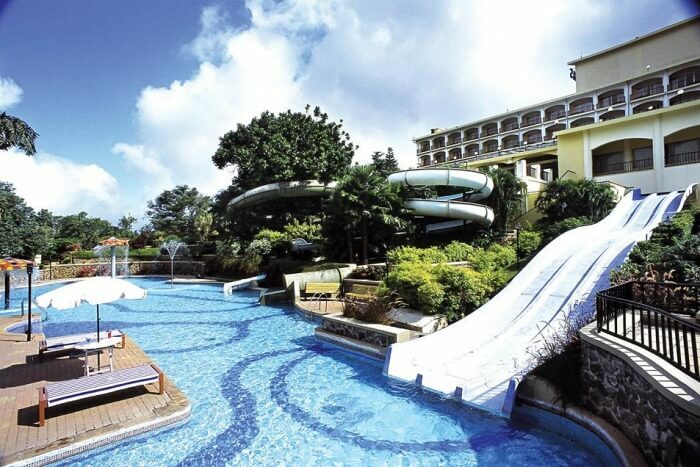 Q: Which are the best resorts near Mumbai for corporate picnic? Nature Trails Resort, Silent Hill Resort, and Cloud 9 Hills Resort are some of the best resorts near Mumbai for one day picnic for corporates. Q: Which are best resorts near Mumbai Nashik highway? 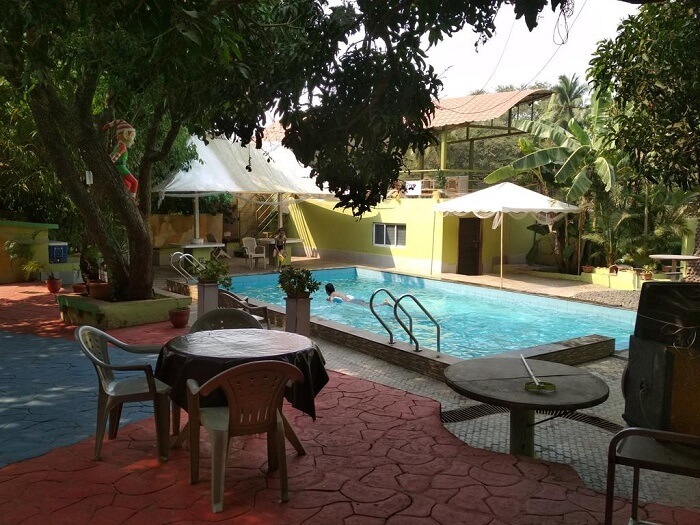 Savana Lake Resort, Dewdrops Boutique Resort, Tropical Retreat Luxury Spa & Resort are some of the resorts near Mumbai for family located on Mumbai Nashik Highway.